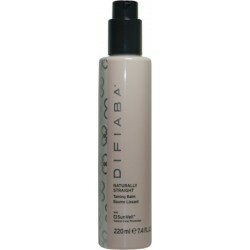 Styling - Just Beauty Products, Inc.
Difiaba Core Tonic Leave-in Mist (NO HOLD) 220 ml/ 7.4 oz. Restores hair core, Fortifies hair fibers and seals hair cuticles. Difiaba Nauturally Straight (LIGHT HOLD) 220 ml/ 7.4 oz. Difiaba Nauturally Straight (LIGHT HOLD) 220 ml/ 7.4 oz. Straightens styles & beautifies body, Tames & controls frizz, Intensifies stability & shine. Difiaba K3 Intense Restorative Keratin Cream 59 ml/ 2.0 oz. Difiaba K3 Intense Restorative Keratin Cream 59 ml/ 2.0 oz. Seal in keratin protein and restore strength, smoothness and shine. Sulfate, Paraben, Gluten and Formaldehide FREE. 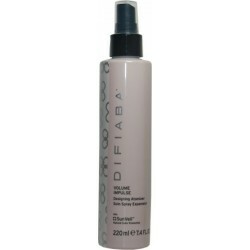 Difiaba Moda Spray Firm Hold Hairspray 300 ml/9oz. This brushable hairspray offers a firm hold with touchable movement and humidity resistance for styles that last. 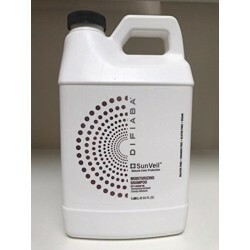 Difiaba SunVeil Firm Hold Gel 236 ml/ 8 Oz Multi-purpose gel, firm but flexible,No flaking, long lasting, Lightweight. Difiaba SunVeil Moisturizing Mask w/ Argan Oil and Color Protection 64 Oz. Triple hair color protection in a luxurious daily mask that won’t weigh hair down. Intensely Repair damaged hair. Difiaba SunVeil Moisturizing Mask w/ Argan Oil 226 ml/ 8 oz. Difiaba SunVeil Moisturizing Mask w/ Argan Oil 226 ml/ 8 oz. Triple hair color protection in a luxurious daily mask that won’t weigh hair down. Intensely Repair damaged hair. Difiaba SunVeil Moisturizing Shampoo w/Argan Oil 64 Oz. full repair, self balancing formula, argan oil adds shine to dull hair, detangles and improves manageability. Increases moisture retention and concentrated formula. Difiaba SunVeil Moisturizing Shampoo w/Argan Oil 236 ml/ 8 oz. full repair, self balancing formula, argan oil adds shine to dull hair, detangles and improves manageability. Increases moisture retention and concentrated formula. 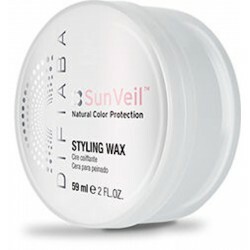 Difiaba SunVeil Styling Wax 59ml/ 2 oz. Provides an exceptional tousled look with nice texture and shine, works great on shorter hair looks. 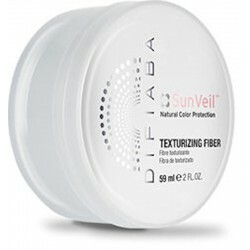 Difiaba SunVeil Texturizing Fiber 59 ml/ 2 Oz. Structures strands, molds and remolds, pliable hold, humidity resistant, non greasy. 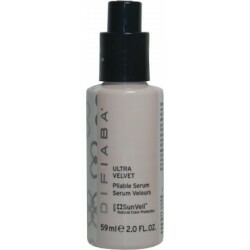 Difiaba Ultra Velvet Pliable Serum 59ml / 2.0 oz. Natural Color Protection. Apply to hair for ultra-velvet finish & pliable style. NO HOLD. Difiaba Volume Impulse (MEDIUM HOLD) 220 ml/ 7.4 oz. 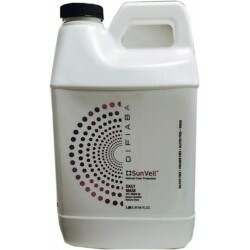 Difiaba Volume Impulse (MEDIUM HOLD) 220 ml/ 7.4 oz. Create natural Volume, Adds weightless movability & resists humidity.